When it comes to choosing a venue, Laura and Dan advise to go with gut instinct. They fell head over heels in love within minutes of seeing Stanbrook Abbey and sure enough couldn’t have imagined spending their day anywhere else. We love being a part of our wedding couples' special days so much so that we give all our newlyweds our exclusive keepsake to be cherished forever along with the memories. With the help of our Executive Head Chef Andrew Soddy, learn how to make an Easter Egg at L'Horizon Beach Hotel & Spa. How do you do Breakfast, Lunch and Dinner? Nutrition can mean many different things to different people but here at Hand Picked Hotels we believe in providing nutritious dishes featuring fresh and locally sourced ingredients at any time of day. Take a look at our top picks for some inspiration. The Most Instagrammable Wedding Venue in the UK? 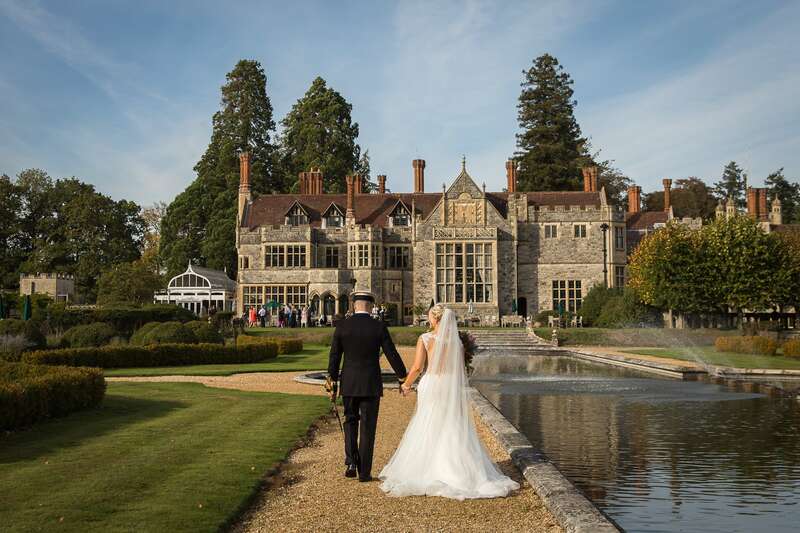 When bride-to-be Nicole was checking out wedding Instagram accounts and found Rhinefield House little did she know how special it would prove. In celebration of 'World Yoga Day' which takes place on Friday 22nd February 2019 we have put together a simple introduction to a few popular Yoga poses so you can give this a try at home or even in the office. With the fresh spring air and sunshine bringing with it longer days we might even take to the garden for a real hit of good endorphins! With the help of our Executive Head Chef Andrew Soddy, learn how to cook Poached Salmon at L'Horizon Beach Hotel & Spa. Afternoon Tea is something we hold dear to our hearts within Hand Picked Hotels, a significant part of the day rooted in British history which brings together friends and family. Valentine's Day is celebrated around the world. While February 14th marks a day of candy, flowers, greeting cards and romantic dinners in the UK, other parts of the world have their own unique ways to celebrate this romantic annual event.